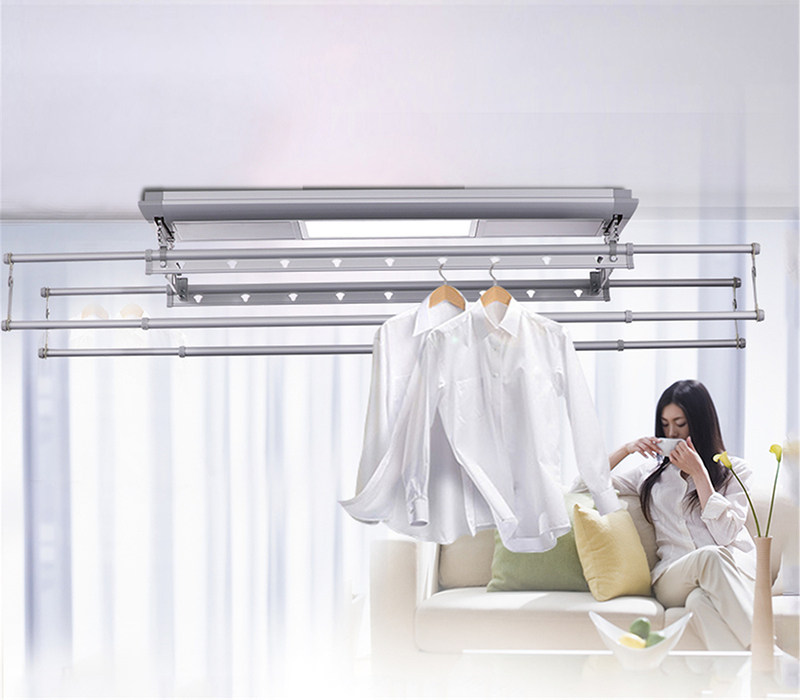 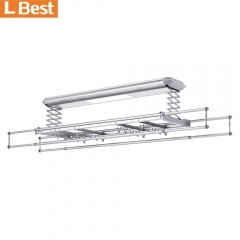 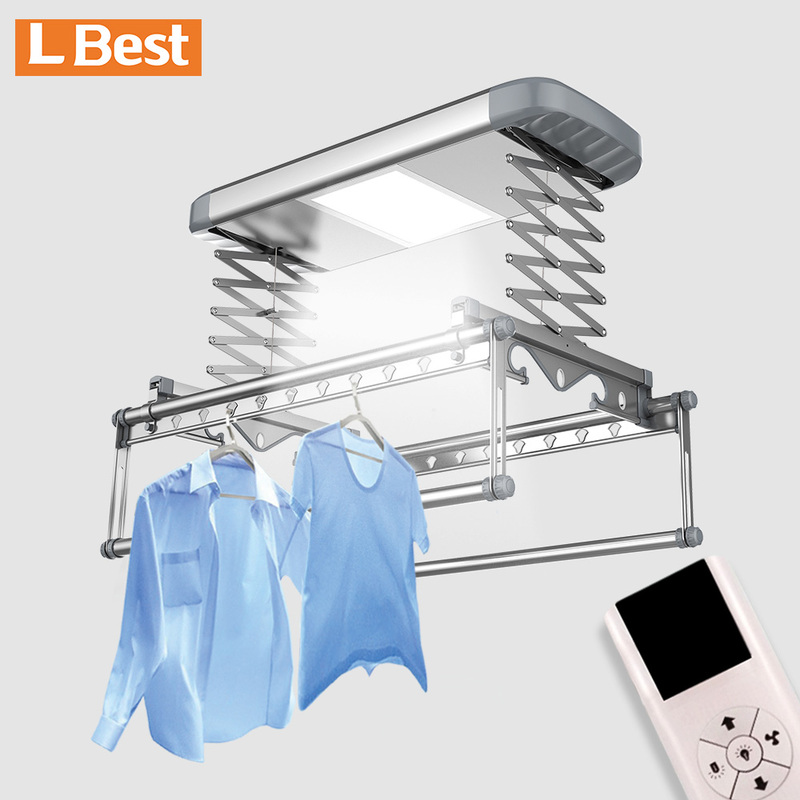 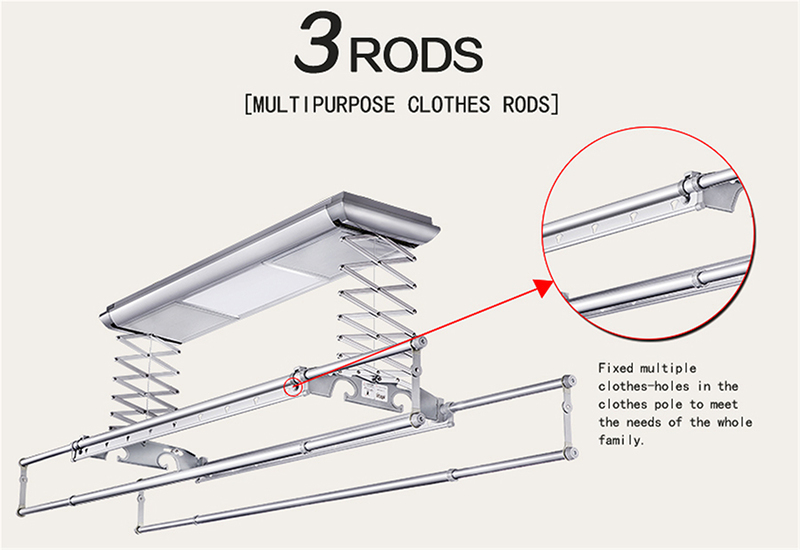 The compact and electric clothes rack is favored and used by more and more families because of its convenient operation, various functions, novel style, exquisite appearance and convenient installation. 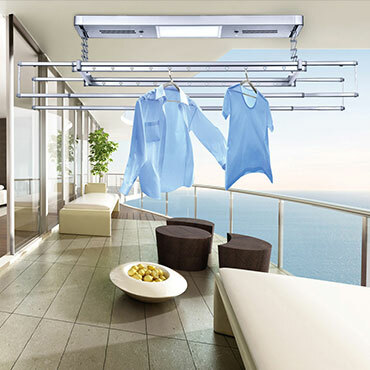 2.Induction over pressure、over current、super heating auto power off，Life expectancy is up to 100,000 hours . 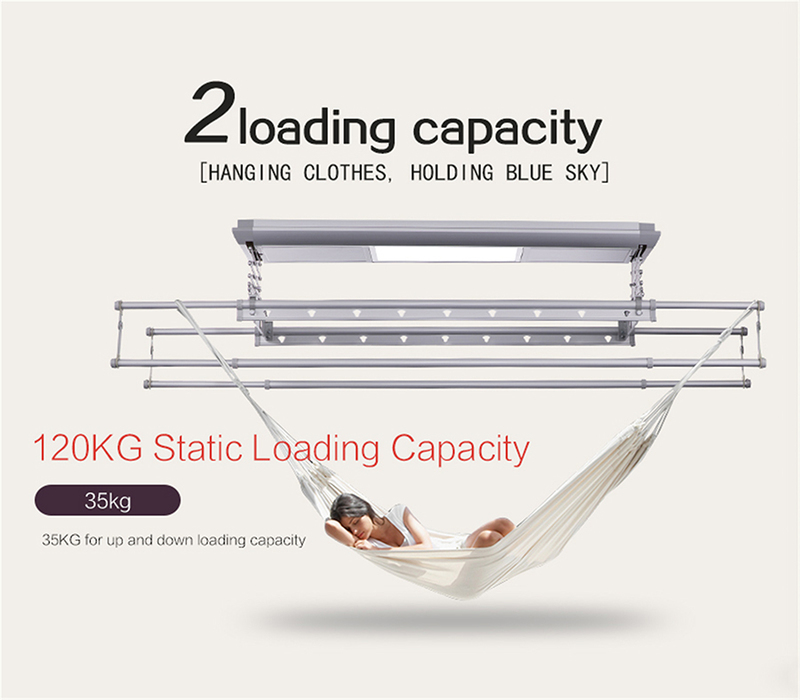 3.With a loading capacity of 35 KG, it can run safely for more than 30,000 times. 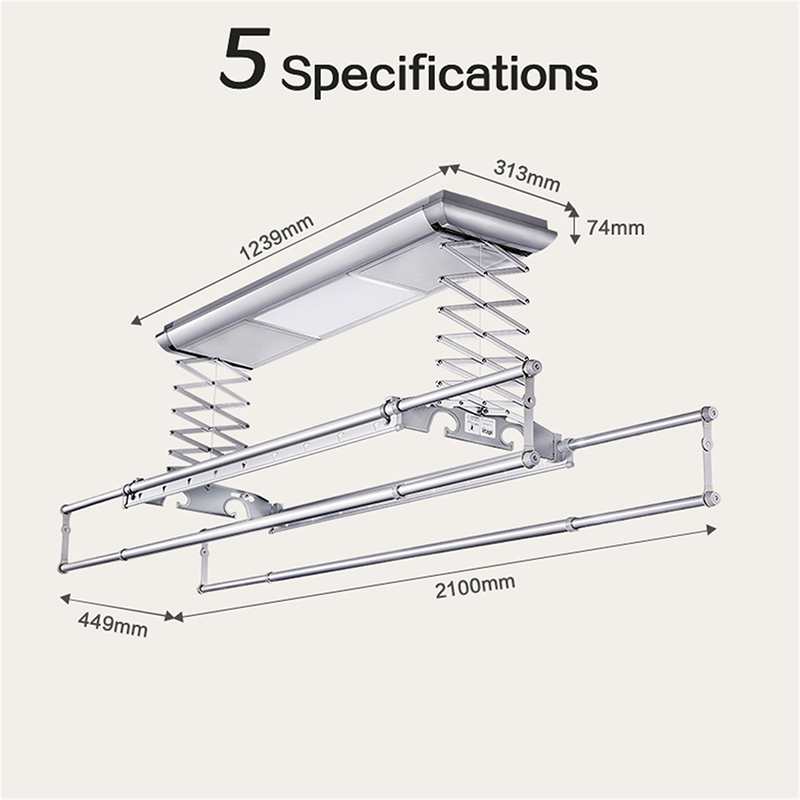 4.Intelligent move up and down. 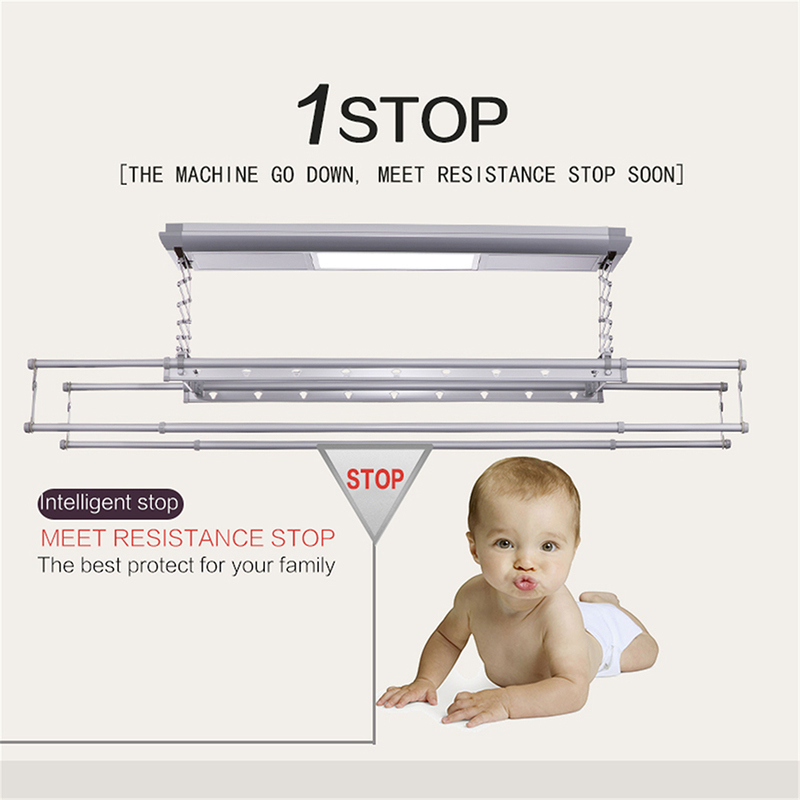 It is operated by remote control and easy to the old people and children. 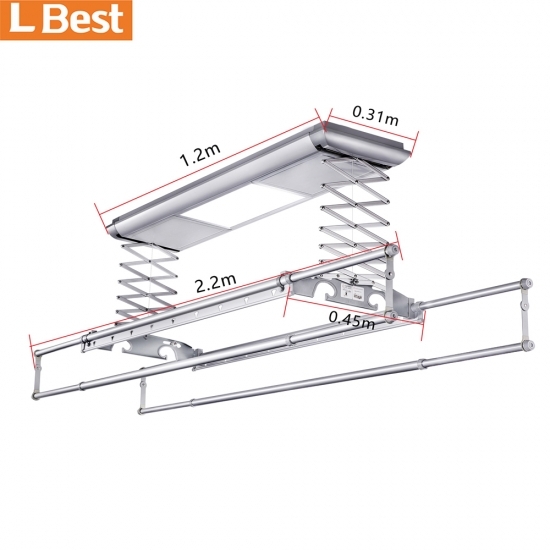 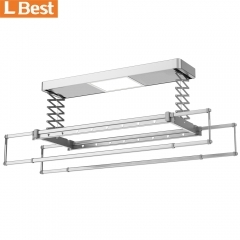 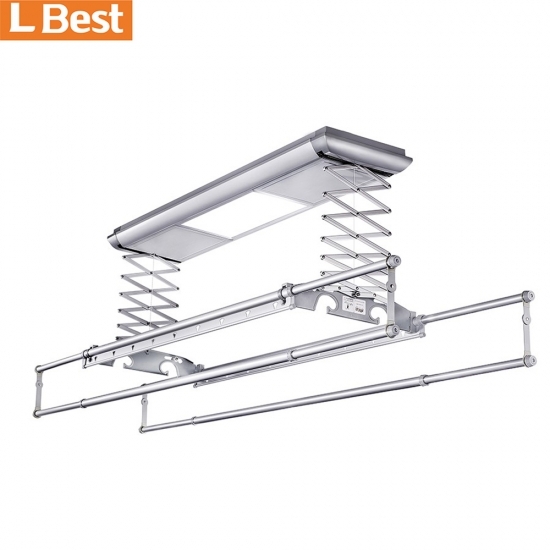 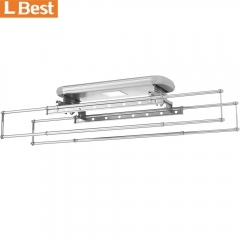 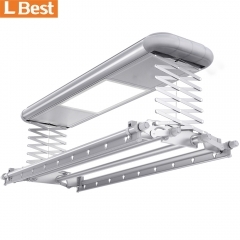 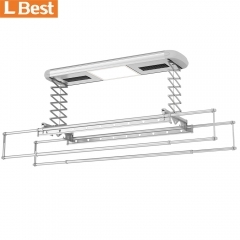 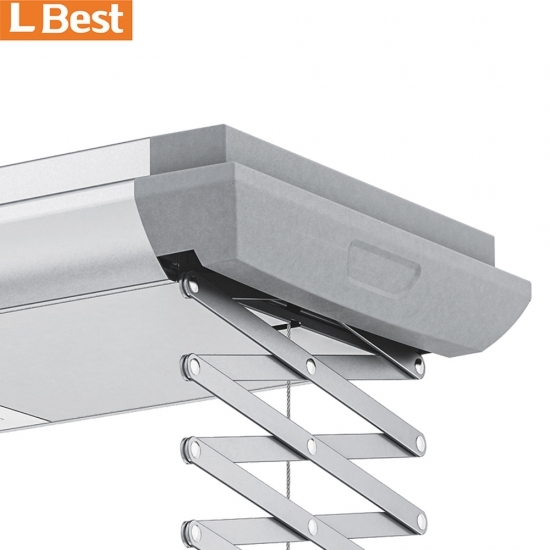 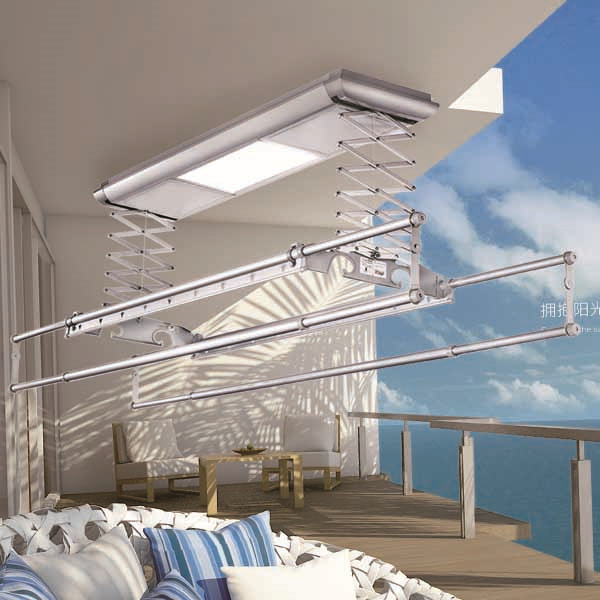 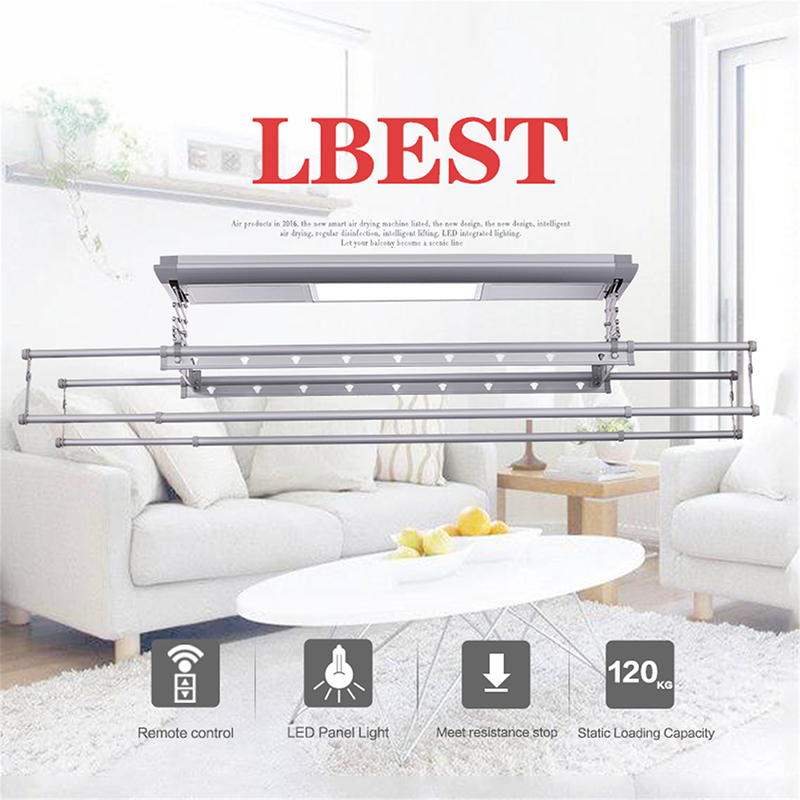 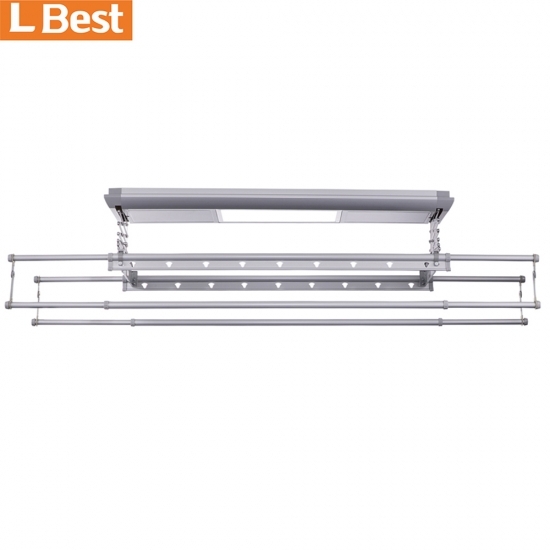 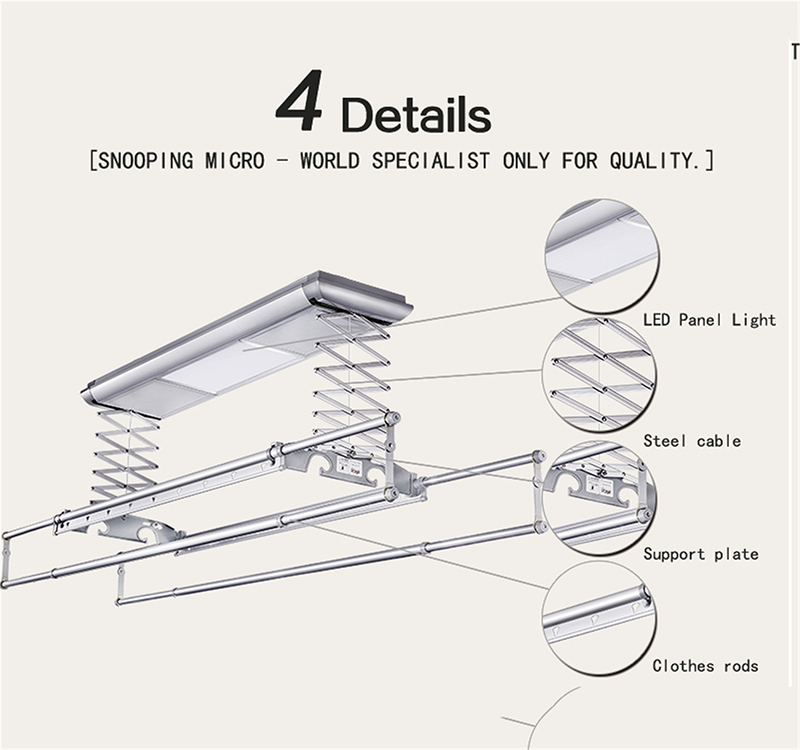 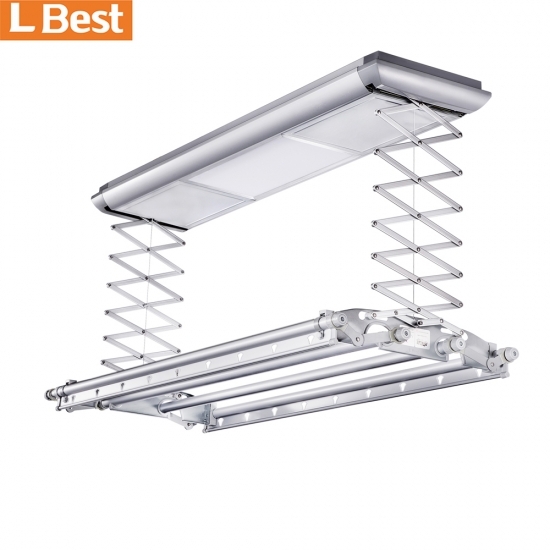 5.Led panel lighting：LED lights by comparison with the traditional lamp，It has energy saving and environmental protection、Constant current pressure、Low power、Comfortable and bright，ease tiredness. 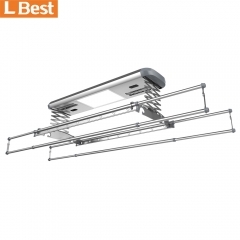 6.Gb6063 aviation aluminum, ultra-thin , light weight and high strength,It has the characteristics of anti-pollution, corrosion resistance and non-fading.